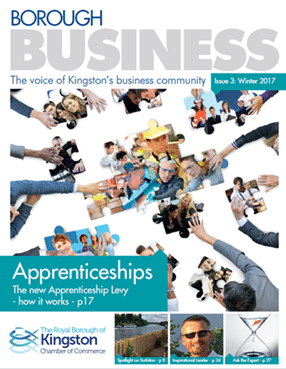 We believe there’s still a demand for a physical, printed magazine, that you can actually hold, alongside the ‘digital noise’ of e-bulletins, electronic newsletters and social media. 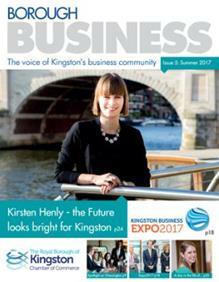 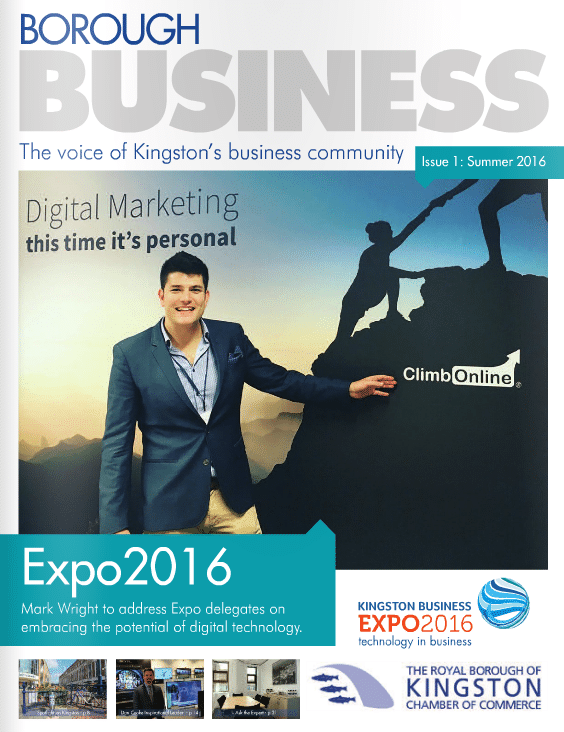 The title Borough Business represents our aim to offer a magazine that represents the voice of Kingston’s business community. 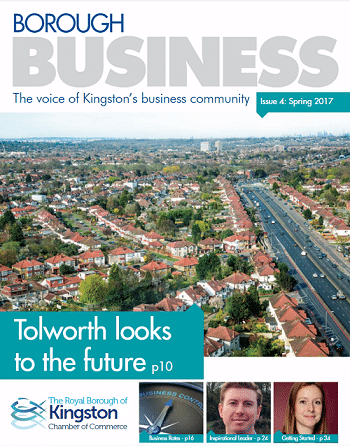 Borough Business is a full-colour premium quality magazine, dedicated to providing its readers with a combination of news, regular features, analysis and information which will help drive their businesses forward. 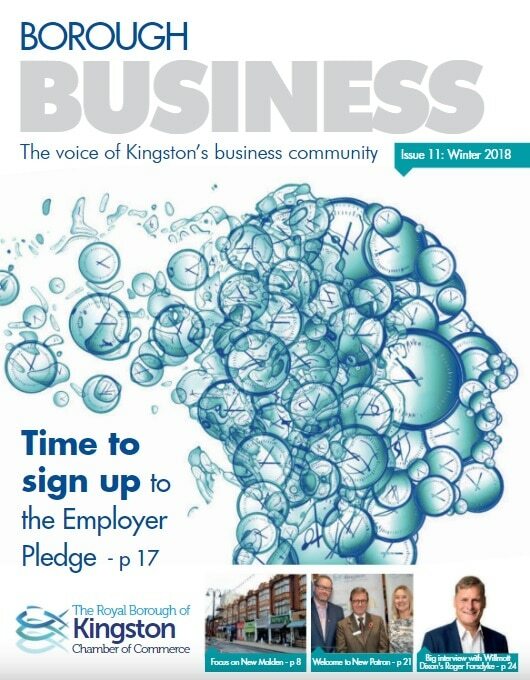 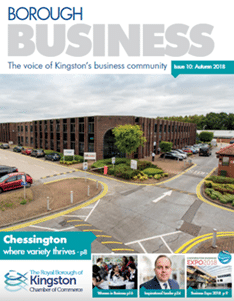 Distributed quarterly to over 1500 businesses in the Borough of Kingston it is the only magazine produced by the Chamber for Members’ and associate companies and makes essential reading for business decision makers. 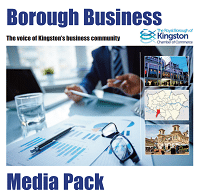 One of its aims is to provide unparalleled opportunities to help businesses communicate with each other on a regular basis and increase their awareness of crucial business issues paramount to success and prosperity of the Borough. 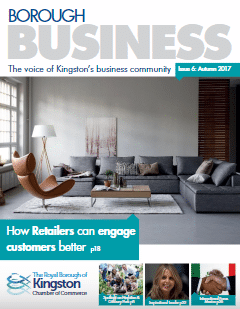 All businesses are actively encouraged to contribute to the magazine and help businesses grow and prosper by sharing knowledge and solutions. 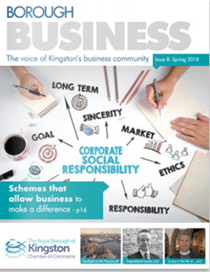 Each issue will feature business profiles and represents a means by which organisations can promote their products and services to keep each other informed about latest news. 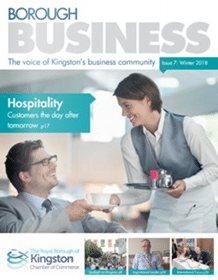 Distributed to key decision makers at senior management level it keeps readers aware of latest developments within the region’s business community. 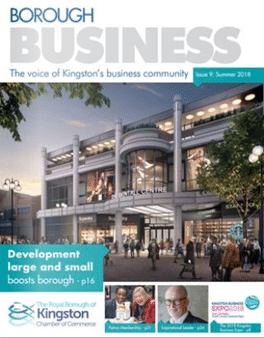 Borough Business provides a real cost effective medium, there is no more highly targeted platform for businesses to promote their products and services to this highly influential audience. 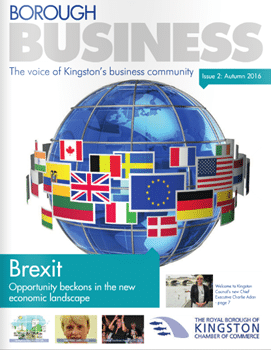 Whatever your business specialism.